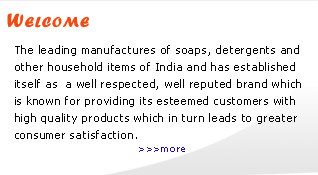 Being over 100 years old Gora Mal Hari Ram Ltd. is one of the leading manufactures of Soaps, Detergents and other household items of India and has established itself as a well respected, well reputed Brand which is known for providing its esteemed customers with high quality products which in turn leads to greater consumer satisfaction. With the sincere efforts, hardwork, and dedication of its Directors and Employees, the company has achieved newer heights. Gora Mal Hari Ram Ltd. believes in serving its customers with better quality products as customer satisfaction is a very imperative part of any company’s future growth. The company has well equipped laboratories in all its factories to check and keep constant control on the quality of raw materials as well as finished goods. Further these laboratories are used for R & D activities in order to further improve the quality of our products to serve our customers better each day everyday. 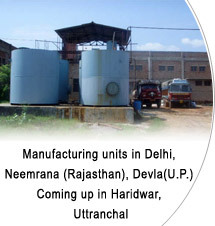 The Company has its manufacturing units in Delhi, Neemrana (Rajasthan) and Haridwar. The company’s products are being distributed all over the country through a vast number of dealer networks for marketing the products. The company has further aggressively taken steps to make its presence felt in big retail growing outlets of BIG BAZAAR, co-operative stores & other retail market. It is imperative to mention that Late Shri Satya Pal Manaktala S/O Shri Hari Ram along with his 4 sons had been instrumental in the growth of the company over the years.